Price: Rs. 450/- Please Call for availability before you book any Event/Trek, to avoid 5% Transaction Charges. 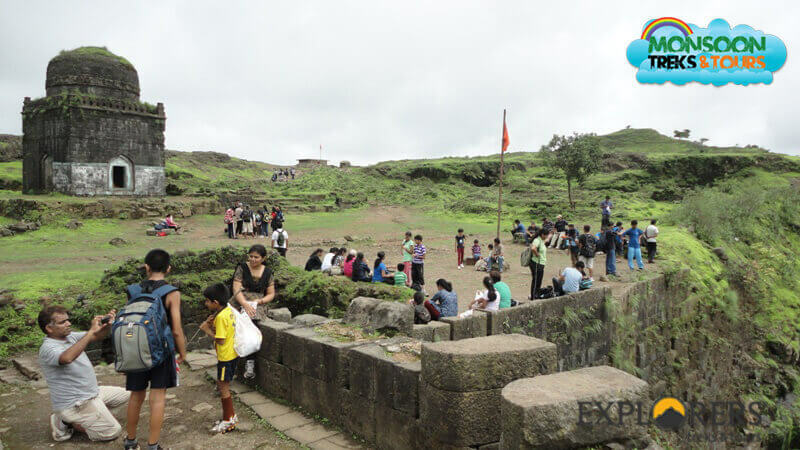 Lohgad trek is one of the easiest trek ideal for beginners and the trek route to Lohgad is more of an easy hike that involves no climbing, with stairs at the end of the trail leading to the fort. 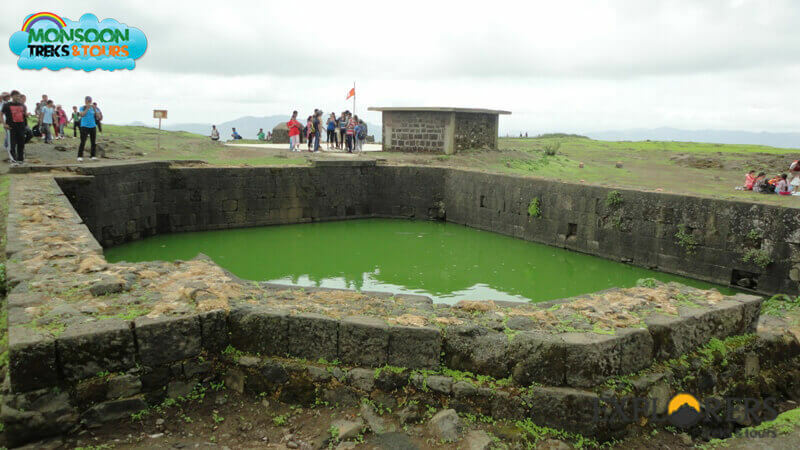 During monsoon, the top of Lohgad fort is covered with mist and clouds and becomes particularly wet with growing moss. The trek route to Lohgad is pretty much straight forward. 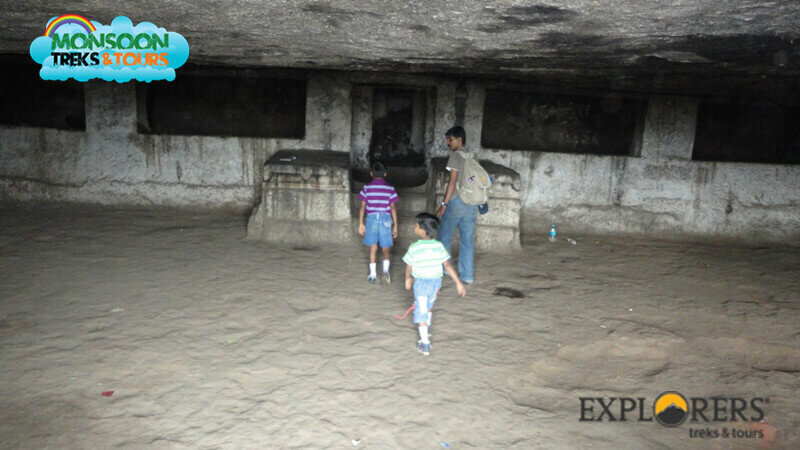 You can see a variety of relics on Lohgad including Caves called Laxmi Kothi, Darga, Shiv Temple, Vinchukata is one of the most prominent amongst them. Viewing from the fort this portion looks like scorpion’s sting and hence it is called ‘Vinchu Kata’. As named, this portion was to keep a watch on the surrounding region. The walk on the Vinchukata is a lot of fun. In rainy season you can enjoy a lot under many waterfalls. 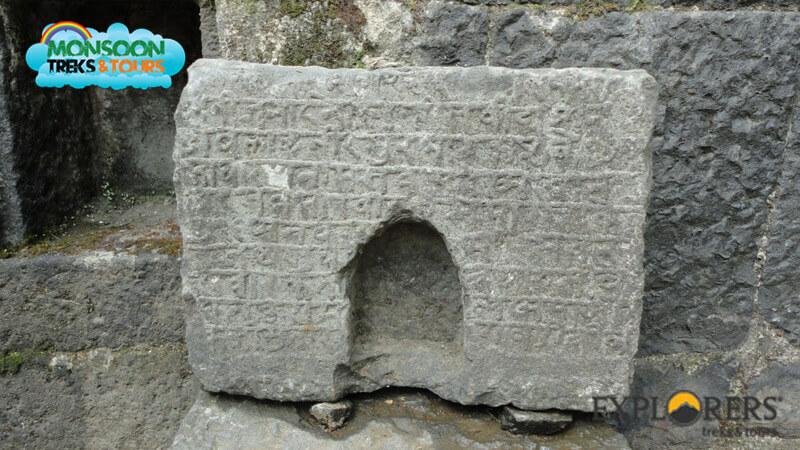 Please Call for availability before you book Lohgad Trek, to avoid 5% Transaction Charges. 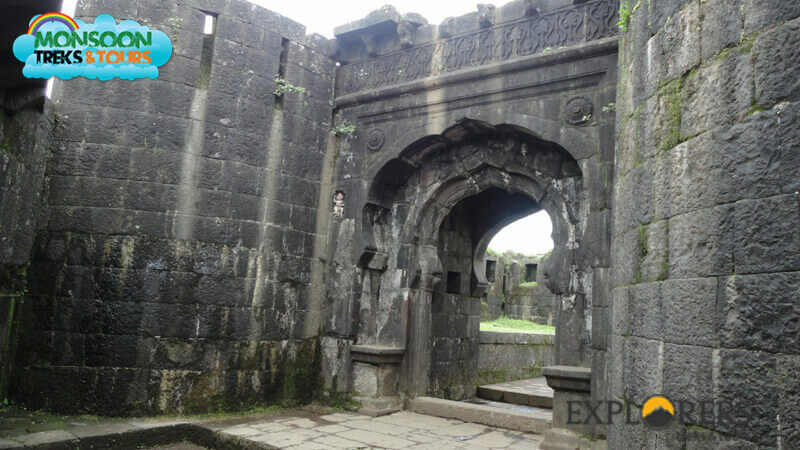 Last date of Enrollment for Lohgad Trek: 28 June, 2018 or till seats left. 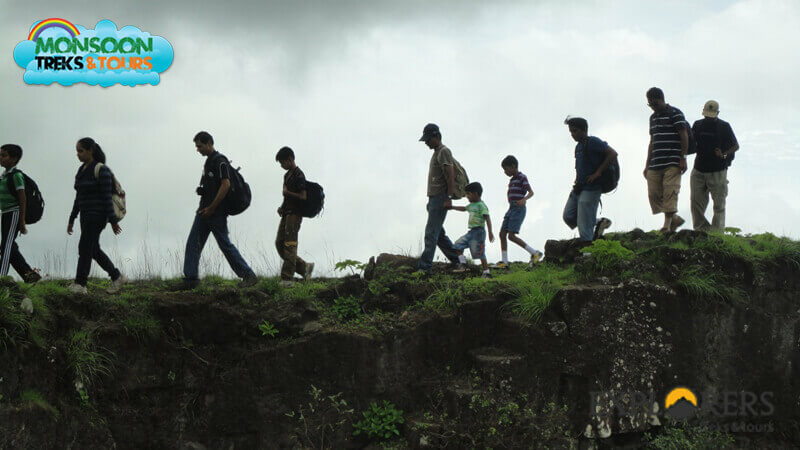 Departure Date & Time for Lohgad Trek: 01 July by Sharp 05.45 am from Shivajinagar Railway Station. 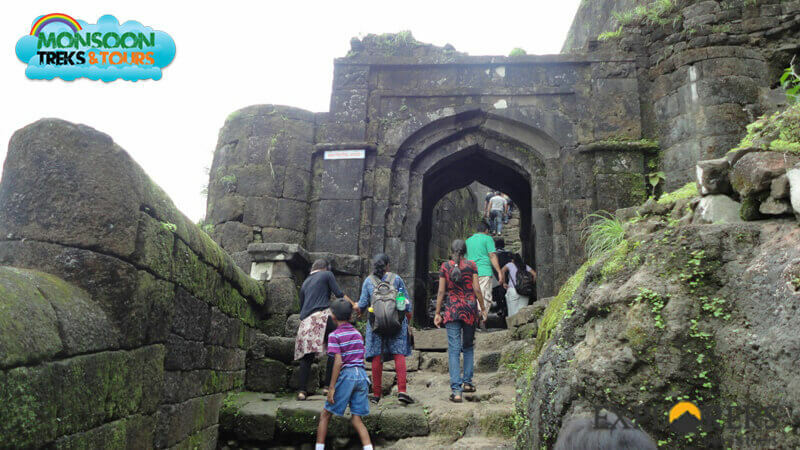 Arrival Date & Time for Lohgad Trek: 01 July around 08.00 pm at Shivajinagar Railway Station. 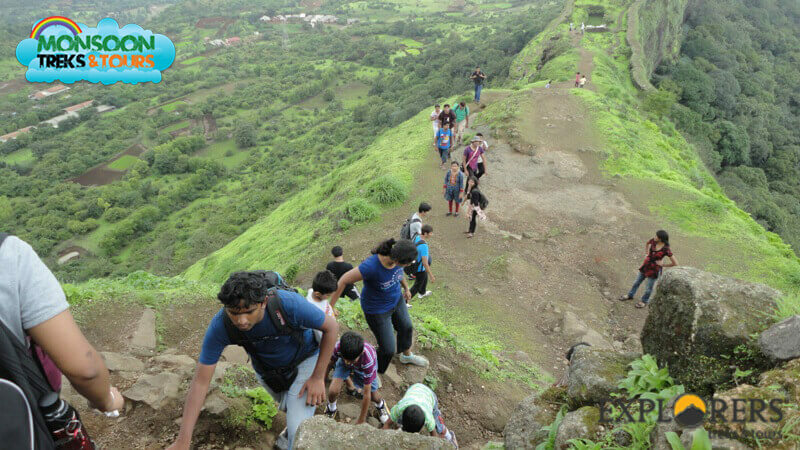 Walking Time (estimated) for Lohgad Trek: 2 hours to reach the Top of Lohgad & 2 hours to get down. 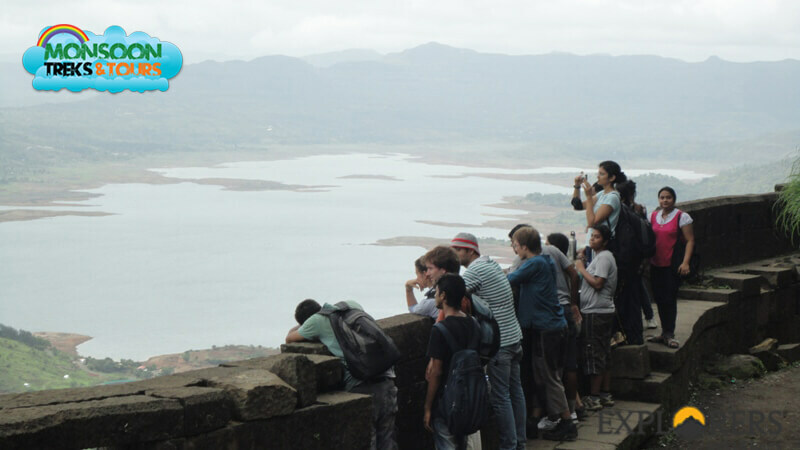 Mode of Transport for Lohgad Trek: Pune – Malavali – Pune by Local. (No Seat Reservation). 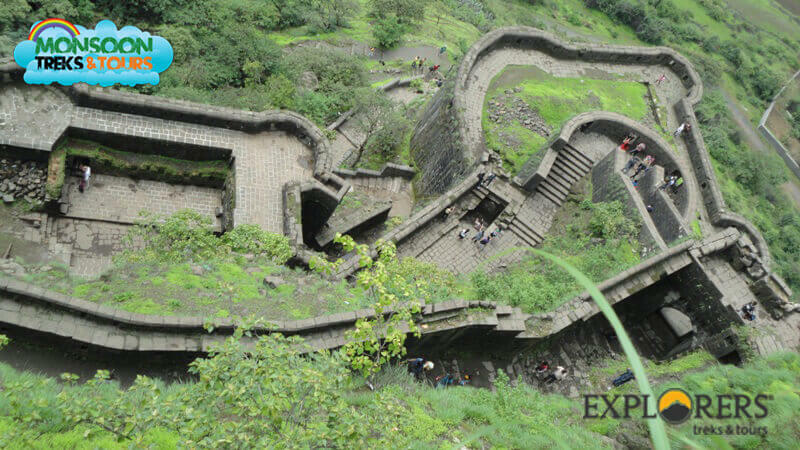 Two Wheeler Parking for Lohgad Trek: Available at Railway station, Pay and Park on extra cost at Owner’s risk. Board Pune – Lonavala Local. No seats reservation. Reach Malavali Station. Plain Walk of around 2 kms towards Bhaje Village. Morning Tea & Breakfast at Local hotel in Bhaje Village. 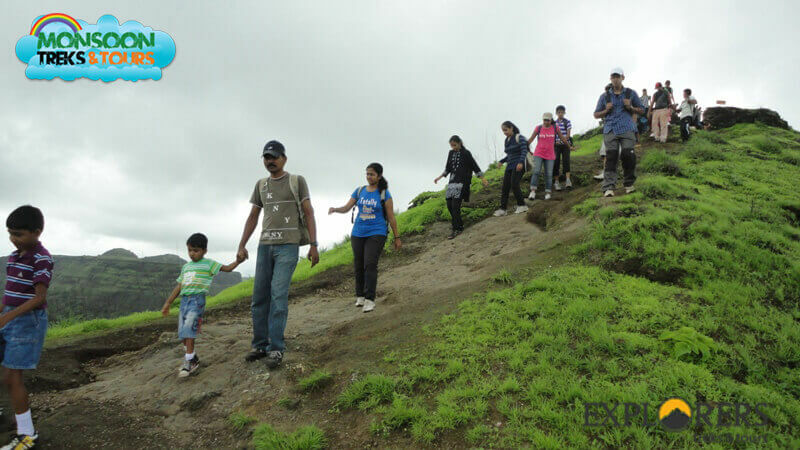 After Introduction & Briefing immediately start a trek towards Lohgad. Reach the Top of Lohgad. 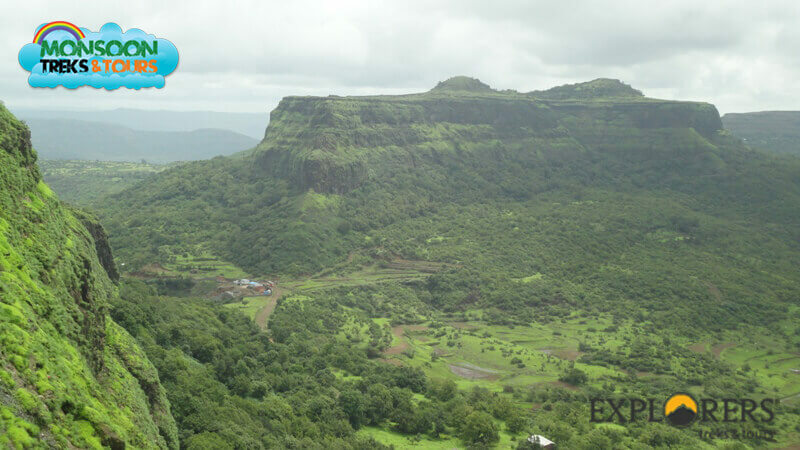 Explore Lohgad. Lunch at Base village Lohgad wadi. Start return trek towards Bhaje Village. Reach Bhaje Village. Enjoy the Waterfalls at Bhaje Caves. Evening Tea. Start a Plain walk of 2 kms towards Malavali Railway Station. Board Malavali – Pune Local. *Local timing from Malavali to Pune is : 03.05 pm / 03.53 pm / 05.33 pm / 06.28 pm. Reach Shivajinagar Railway Station with Happy Memories. Transport by Local (Pune – Malavali – Pune) No seats reservation.. Separate Plastic Bags to save your Mobile / Wallet from Rain & to keep Wet Cloths.